Last week I went with student camping and helped to prepare the food for three nights and four day. The best part of this camping is a challenge to do some canoeing with them. 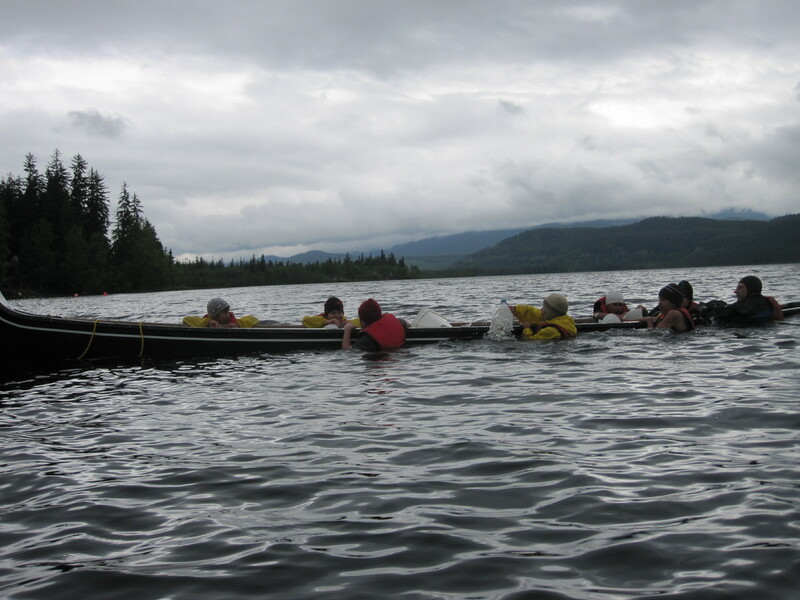 The instructor is Peter Loy, he owns The North Coast School of Canoeing (Canoe and Outdoor Adventure). The scenery of Lakeelse Kinkamp, where we stay for camping and canoe lesson in this spring. 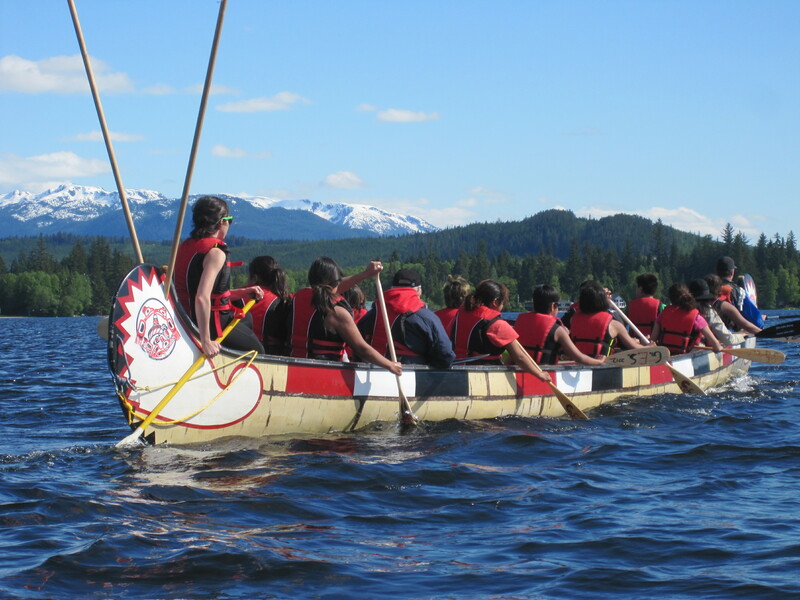 This is a long canoe Voyageur. Can carry over 20 passengers. 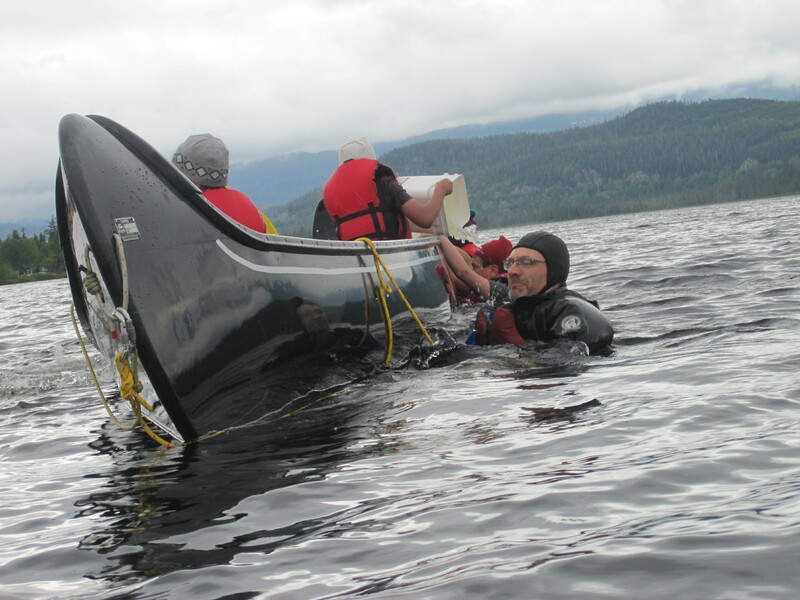 Peter Loy and his passion of canoe rescue training. 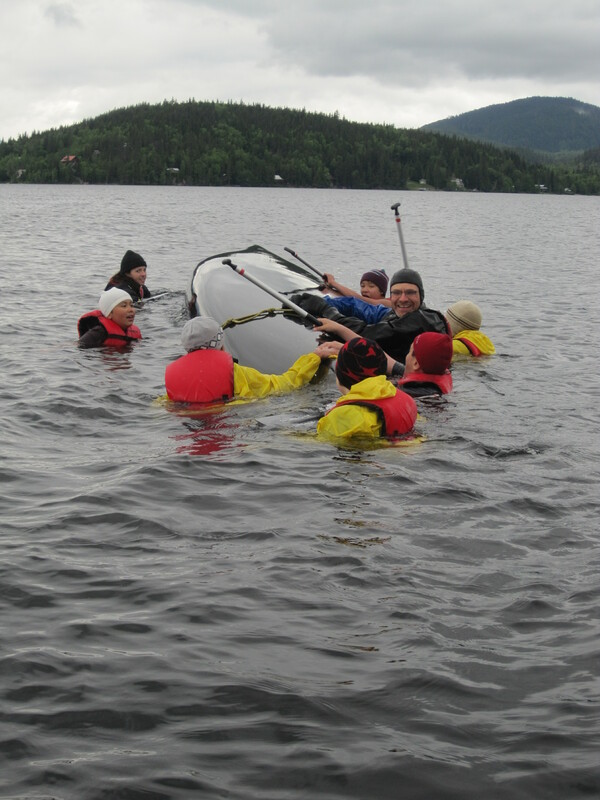 After the canoe capsized over everyone should be attached to the canoe. 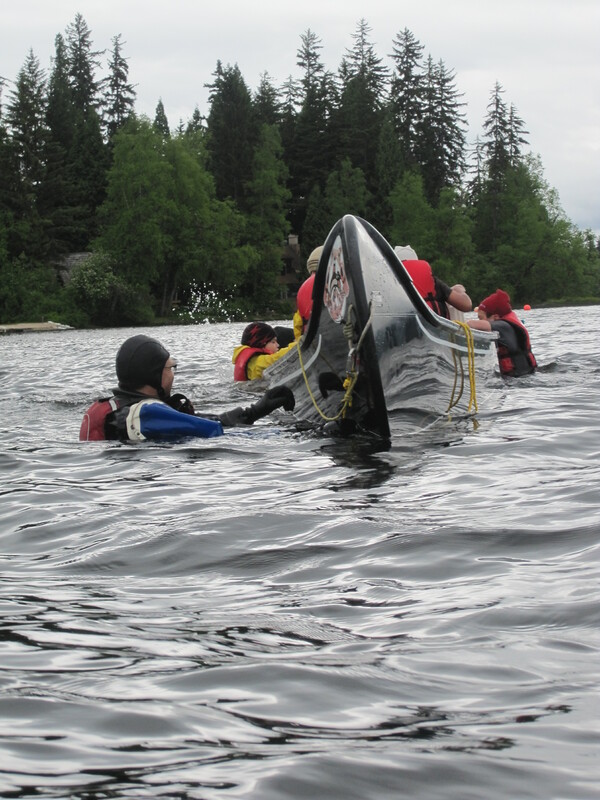 The Canoe is then righted. 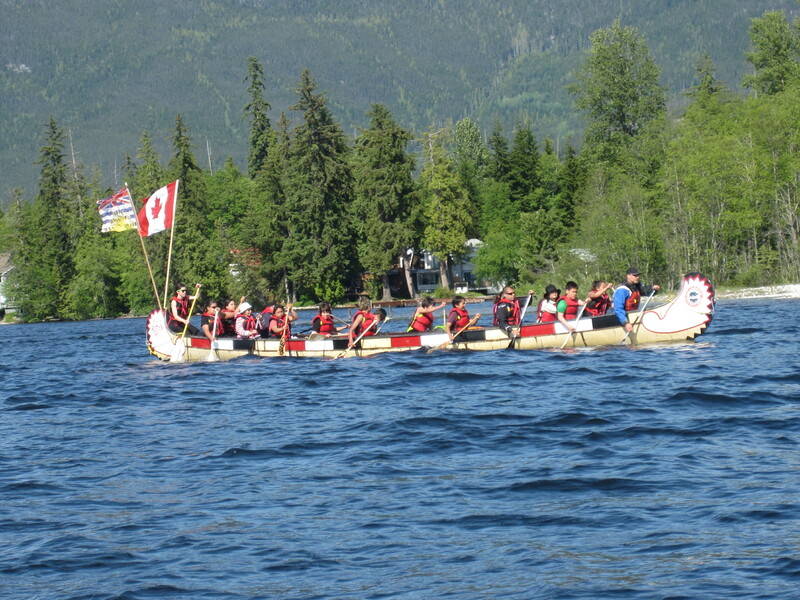 Everyone help to take out (bail) water from inside the canoe. 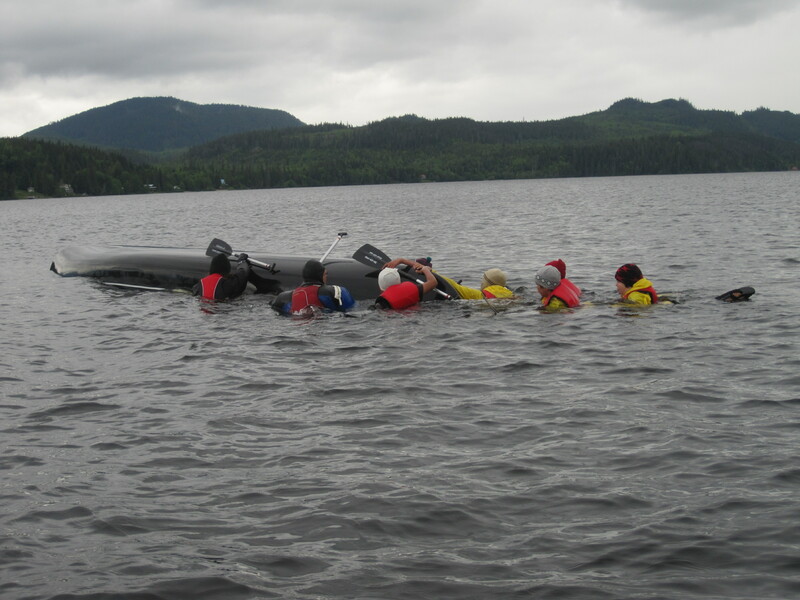 Once enough water has been removed then one at a time the crew re-board and continue to bail the boat. The water in the lake is very cold from the mountain snows melted. Where trout and salmon swim around. It takes time about half an hour for the canoe work. 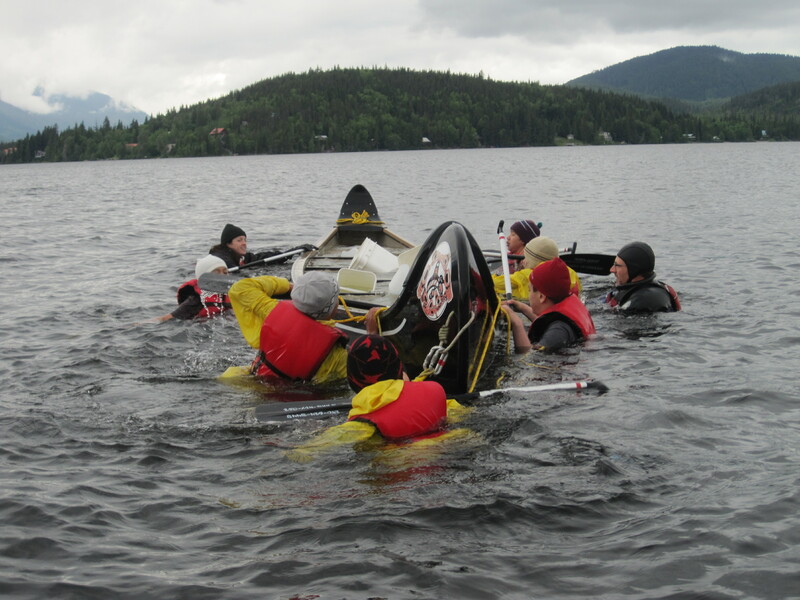 Care must be taken not to re-capsize the canoe while it still has water inside. The student group was separated into girls and boys teams, The reason being that they can focus on the duty. 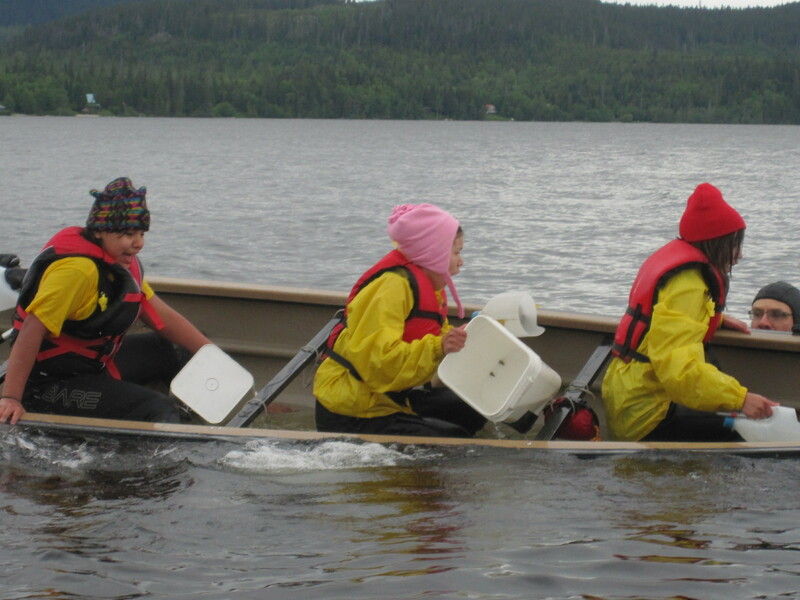 In this camp we includes two elders to teach about working together and to pass on their knowledge and importance of respect for themselves and others. After dinner of each day we would do a council circle fire with traditional elders. A moment that everyone Was impressed with on the final day was for to see a hawk fly in the sky in front of us for a while then fly down straight to grab fish in the water. Then one eagle fly to chase the halk to get the fish and another come too. We saw two eagles chase the hawk for a while and finally the hawk drop the fish in the air and one eagle get it. We could not take any picture of this because it was happended fast. 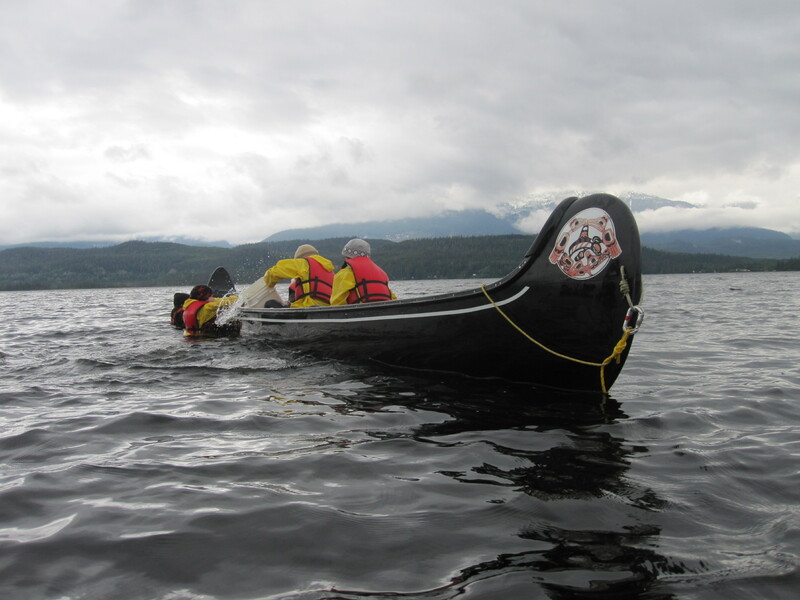 We then canoe further and again, can see far away the same hawk get fish in water follow with 2-3 eagles… The wild beauty of British columbia. What an experience! 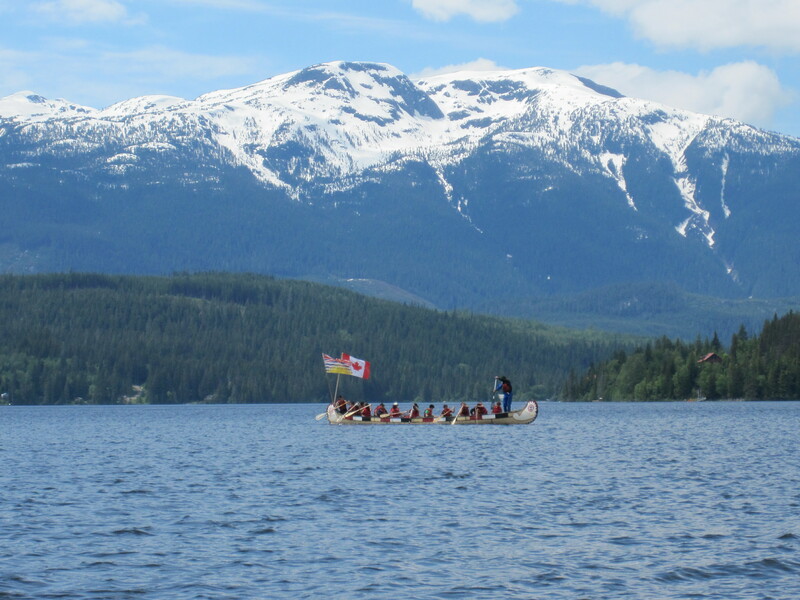 Thanks for sharing these beautiful photos of BC. Thank you Laura for your kind words. You are welcome.